isn't always easy for kids. In fact, it's often at the root of many of the conflicts amongst the children in my classroom. Learning how to GIVE a turn with a toy or activity, and learning how to ASK for a turn requires some practice. Especially if the item is new to the classroom! So I love having books on hand that help reinforce the concept of sharing. Especially if the book teaches this lesson in a fun way that the kids will enjoy. 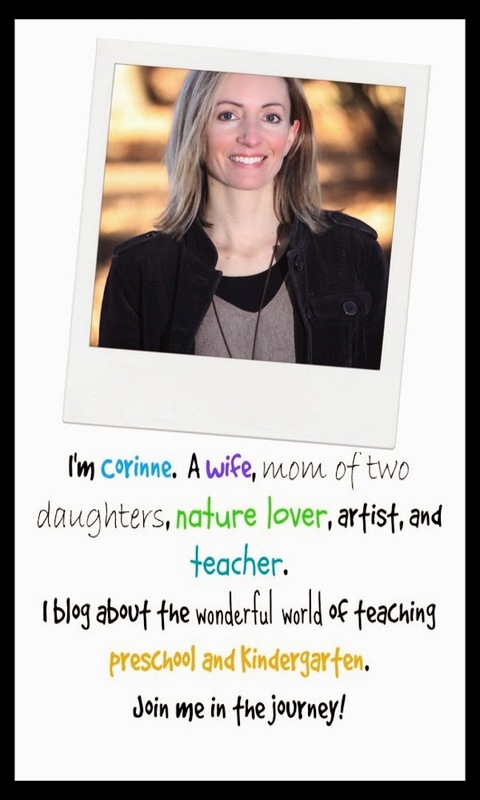 Let's Talk About Books linky party, does just that! 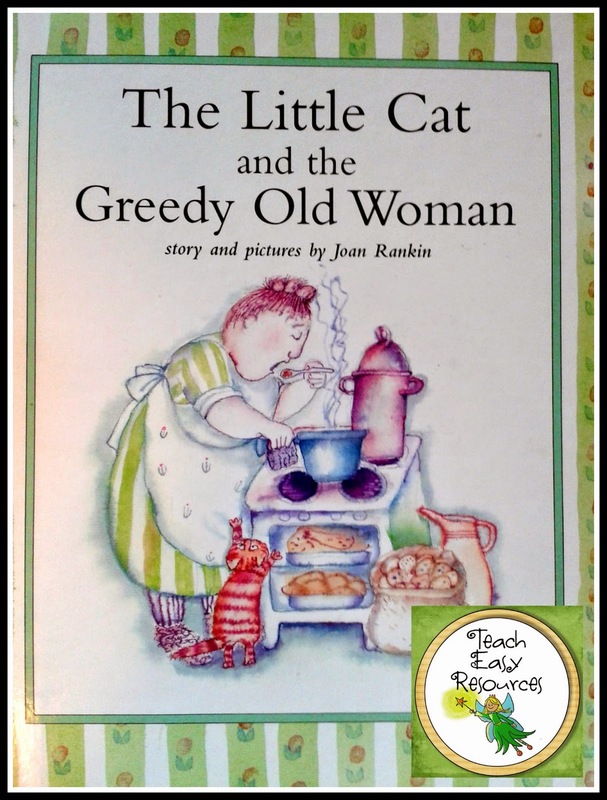 "The Little Cat and the Greedy Old Woman"
and it's written by Joan Rankin. 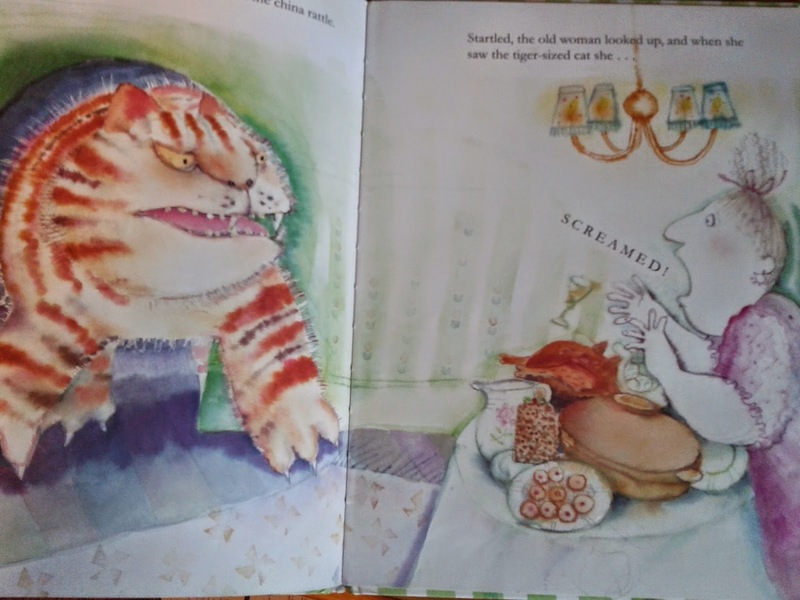 This book is beautifully illustrated with watercolour images and it drives home the message about sharing in a very lighthearted, entertaining way. 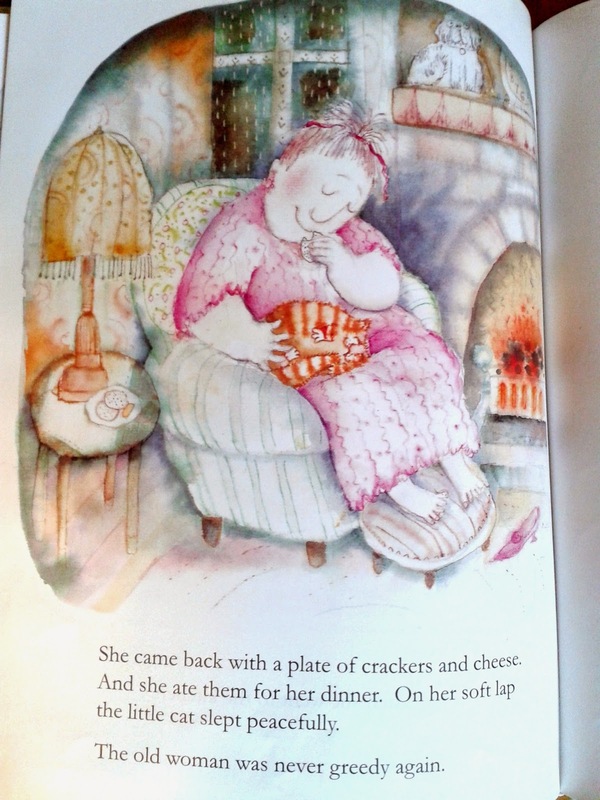 The story unfolds by describing a little old woman who is cooking a very special dinner. Her little cat is hoping for a bite, but the little old woman does not share even the tiniest taste with him. As the cat sits outside, he starts to become very angry. And as his anger grows, so does HE. He grows and he grows until he is the size of a GREAT JUNGLE TIGER. 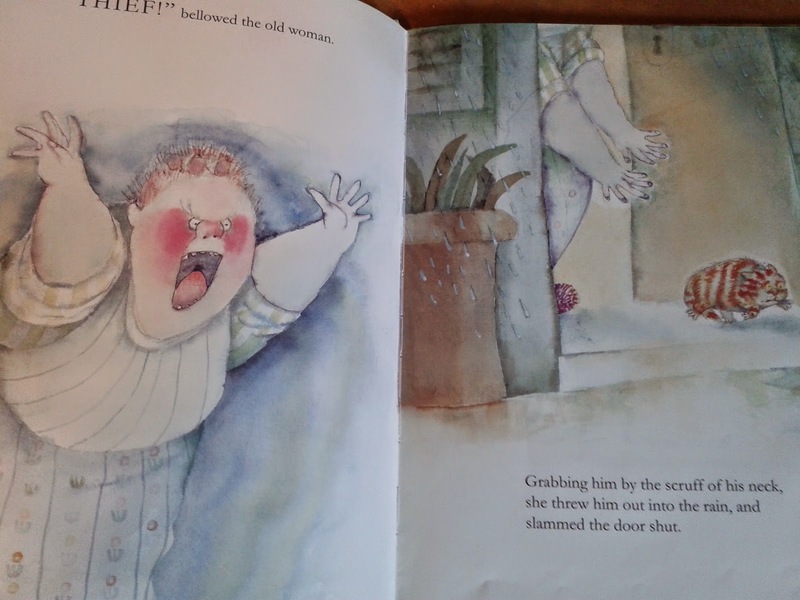 He pushes his way into the house and right into the little old woman's dining room. Then, the cat helps himself to the meal. When his tummy is full, his anger starts to diminish. And as his anger decreases, so does his size. Soon he is just a little cat again. 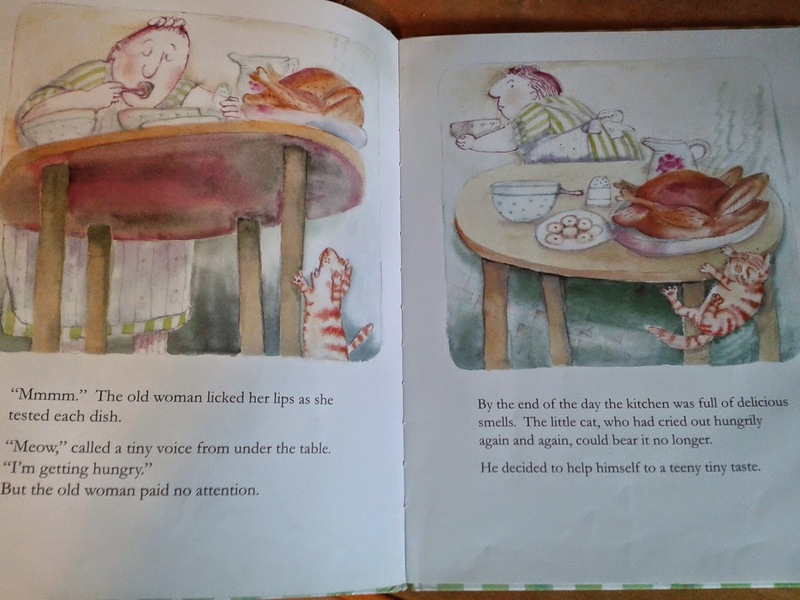 The book ends with the old woman realizing that she had been wrong not to share. On the final page, the two characters become friends and they snuggle together in a chair, all transgressions forgotten! So cute! The storyline, the message, and I must say, the adorable little cat, himself. You may want to give this book a try with your kids! This book looks like a good one! I'm going to try it. Thanks for your recommendation!